Filmed at Manchester Airport this video features a short timelapse sequence at the beginning, set to music and acting as titles. 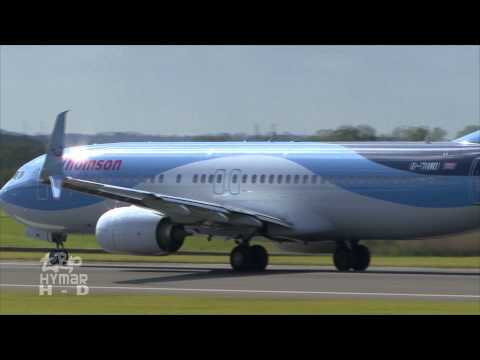 The video features my first capture of a Boeing with split scimitar winglets in the form of Thomson Boeing 737-800 G-TAWD. USAirways 757 N941UW is next, and this could be the last time I get to see a USAirways coloured aircraft since they are being painted into American colours thick and fast. The video rounds off with Jet2 classic 737-300 G-CELB and G-LSAI 757. As always I hope you enjoy, and thank you for supporting my channel.